Overproduction means stockpiles of soybeans, wheat and corn for grain farmer Kevin Smith from Shelbyville, Kentucky. Smith traveled to the Kentucky Commodity Conference in Bowling Green this month hoping for some bright spots in a gloomy market. One glimmer of hope is in the exports. 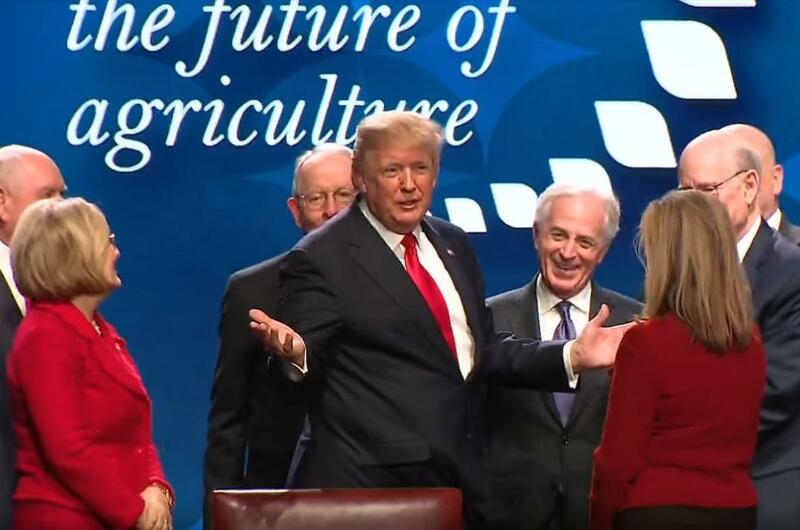 President Trump with Tennessee lawmakers at the Farm Bureau convention. He wonders which President Trump they will get? The one who tells farmers that he wants a deal that is good for agriculture? Or the Donald Trump who tells the Wall Street Journal that he might pull out of NAFTA? 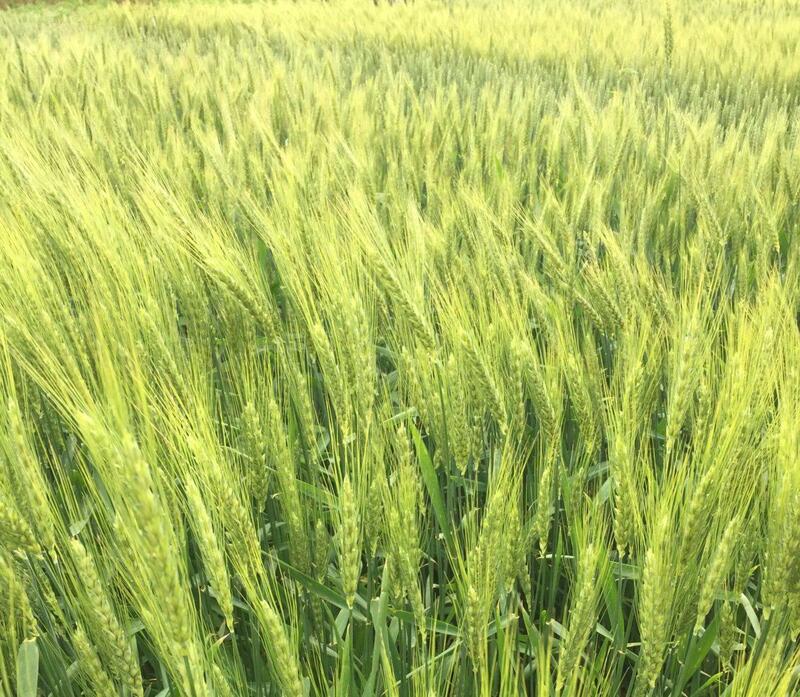 Farmers say exports are moving their amber waves of grain. Kentucky Agriculture Commissioner Ryan Quarles said he hopes Trump will follow the physician’s golden rule. “Do no harm,” Quarles said. Quarles also chairs the Republican Agriculture Commissioners Committee and was an advisor to the Trump campaign on agricultural issues. He said NAFTA has been great for farmers. Between January and November last year, Kentucky, Ohio and West Virginia together exported almost $242 million in agricultural products to NAFTA countries and South Korea. Over the past decade the exports from the three states topped $2 billion. Hog farmers are especially nervous. 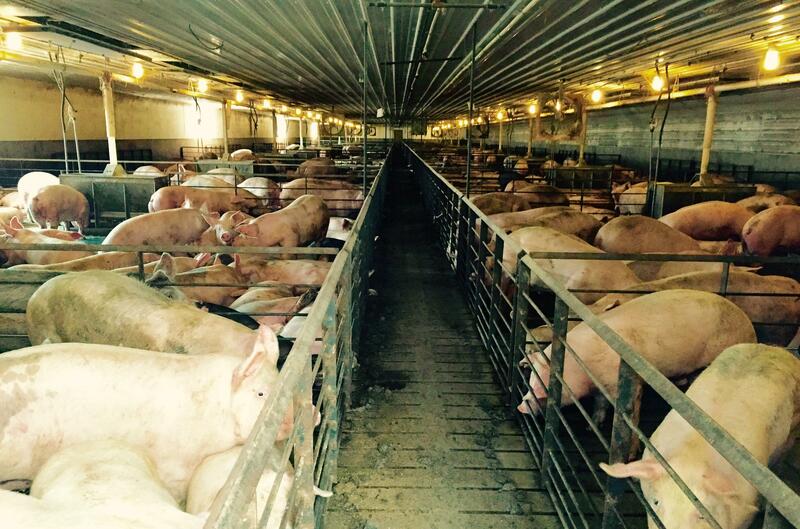 The National Pork Producers Council, estimated that losing the current zero percent tariff-based status under NAFTA could result in a $1.5 billion loss for U.S. pork and could affect 17,000 jobs.The Ohio Valley region alone has roughly 5,000 hog farmers contributing more than $900 million in product value. The sixth round of NAFTA talks are just wrapping up in Montreal. Quarles said he is confident agriculture will be well represented in trade talks. And Quarles said other administration actions on regulations will help farmers. That includes the promised repeal of the Obama administration's controversial Waters of the U.S. rule. “Repealing what we believed would have been a dangerous power grab by a federal agency,” he said. With more than 680 thousand public comments on the repeal of legislation that redefined what waters fall under federal jurisdiction, the EPA extended the public comment period and plans to have a replacement rule by April. Another bright spot for farmers has been the safety nets provided by crop insurance in the last Farm Bill. That’s something Trump told farmers he’d support during his speech in Nashville. But Trump has sent mixed messages about whether he likes crop insurance. A farmer prepares a field in western Kentucky. The 2014 Farm Bill shifted away from the flawed system of direct subsidies to farmers and moved toward a more market-oriented approach tied to crop insurance. University of Illinois associate professor Nick Paulson said it’s working. Crop insurance now covers 90 percent of farmed land in the U.S., and crop insurance now accounts for $6 billion of Farm Bill spending. But that growth in the program also creates a big target for budget cuts, Paulson said. Last year Trump’s Office of Management and Budget proposed $230 billion in budget cuts to the Department of Agriculture, including cuts to the crop insurance program. Again, farmer Kevin Smith is left to wonder which Trump to believe: the one who pledges support for crop insurance, or the one who proposed cutting it. 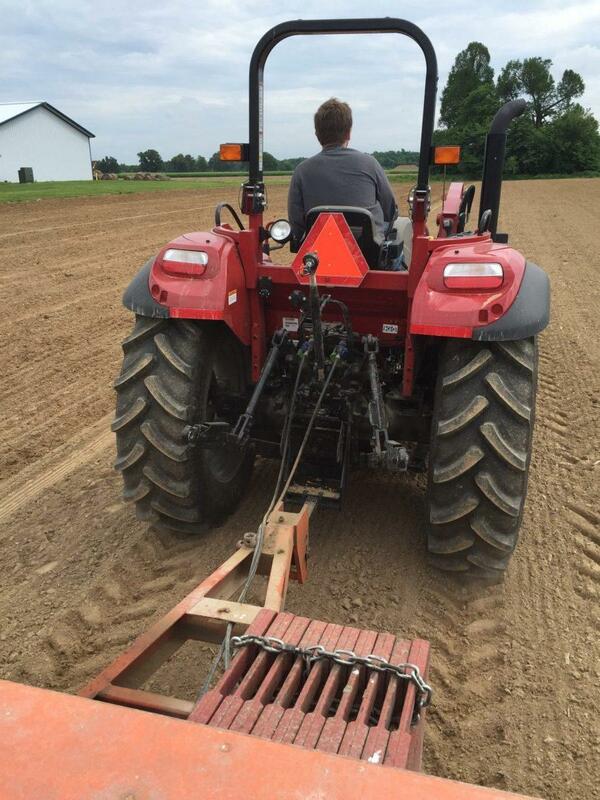 The idea of farming without crop insurance leaves him anxious. Smith and other farmers will be looking for answers in the President’s new budget in a few weeks.